Originally developed with Guthrie Govan as his ‘flying amp’, the V30 MKII features an all-new Clean-channel Crunch mode and the footswitchable 'Nomod' function to offer two levels of bass response. 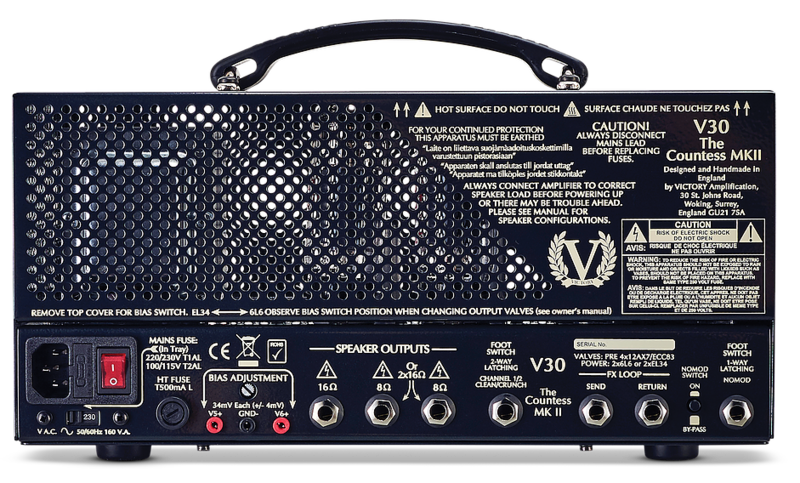 The original V30 has very distinct clean and overdrive channels. There is massive headroom and clarity in the former, with a ton of heavy rocking overdrive in the latter. 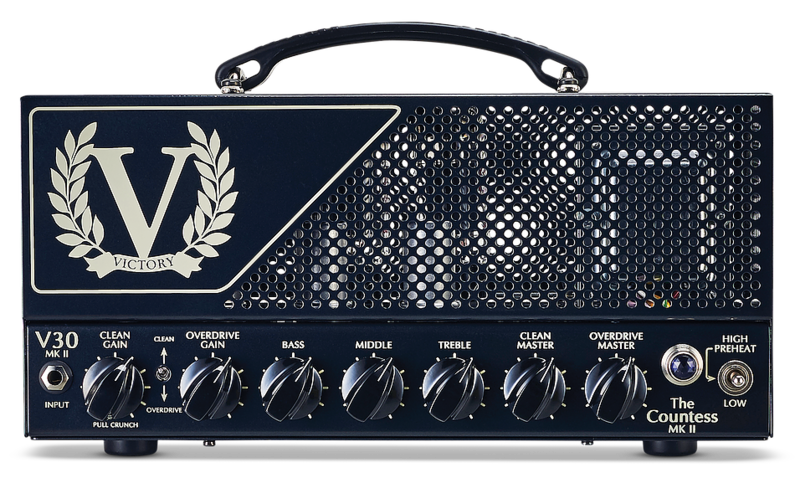 With V30MKII, we’ve added an extra footswitchable crunch mode to the clean channel – developed for V130 The Super Countess – that offers a whole new palette of pushed clean, crunch and light overdrive tones to the party. Along with the new 'Nomod' function, the V30 is now the ultimate ultra-compact all-rounder. ​ Footswitchable Clean and Overdrive channels offer chiming, high-headroom cleans through to huge, modern-rock-ready gain. For in-between, low- and mid-gained tones, V30MKII also has a footswitchable Crunch mode in the Clean channel (see right). ​ This footswitchable addition to the Clean channel brings an extra gain stage to take you into pushed and light overdrive sounds. It’s great for anything and everything where a little bit of drive is needed from blues to country to classic rock and more. ​ People are often astounded at the punchy, high-headroom clarity of the V30's 42 watts. It's loud enough for almost any stage, but if you want to explore lower volume and a different set of dynamics, you can switch to the low-power 7-watt mode. Our new footswitchable low-end response function is a result of some users wanting a tighter feel for the V30, especially with heavier overdrive sounds. Here's what Guthrie Givan thinks of it: "I decided to use the 'new' mode all night. Sounded mighty fine! There's nothing wrong with the Mk1, of course, but those tweaks were most definitely worth making!" ​ No need to fiddle inside the amp when you change output valves. There is also a bias range switch on the chassis to suit either EL34 or 6L6 power valves, so when you've set that correctly, you then use this for the fine-tuning adjustment.